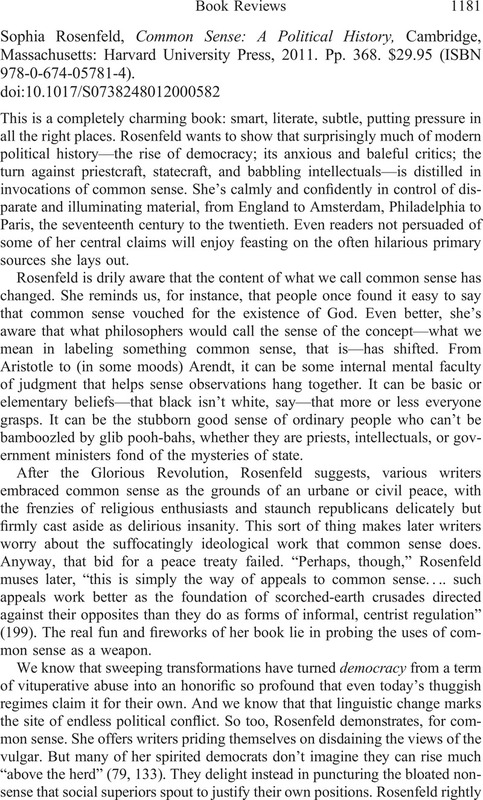 Sophia Rosenfeld, Common Sense: A Political History, Cambridge, Massachusetts: Harvard University Press, 2011. Pp. 368. $29.95 (ISBN 978-0-674-05781-4).